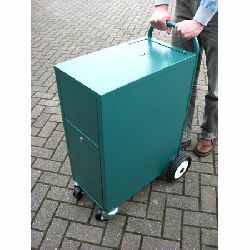 Manufactured from folded and welded steel sheet and finished with a commercial grade powder coat paint, these practical units feature a combination of large rear wheels and front castors to provide the flexibility for indoor or outdoor use. A deposit slot in the top of the unit allows bagged coins and notes to be safely dropped into the unit, without the need to unlock the front access door. 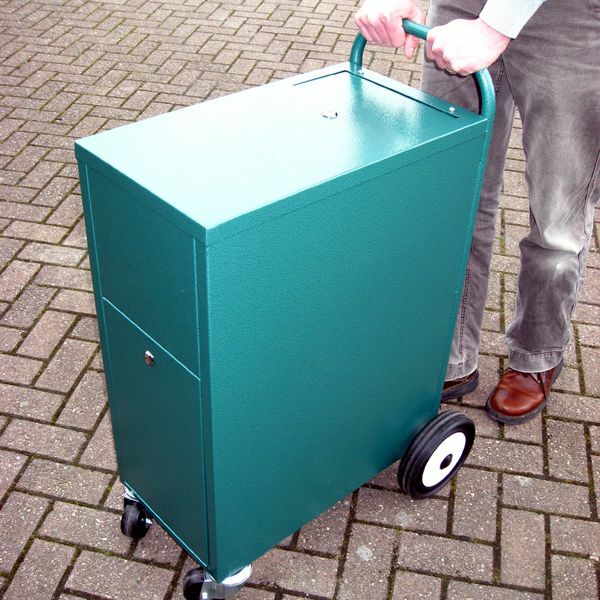 Items deposited drop into an internal basket to make unloading the trolley a doddle when it is returned to a secure location. Available in a range of models to suit different volumes of deposits (all units are suitable for coin and note collections), options include a fitted alarm.